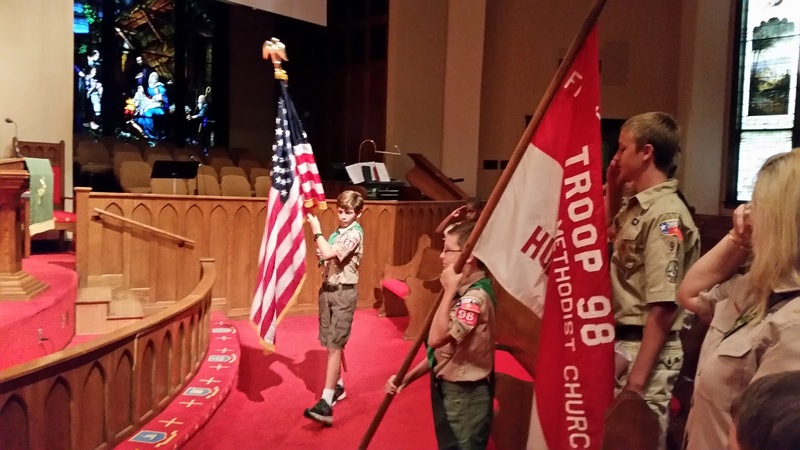 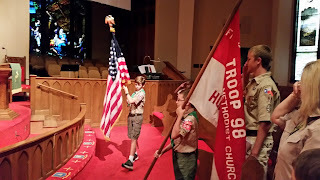 Dawson carried the US flag in the flag ceremony. 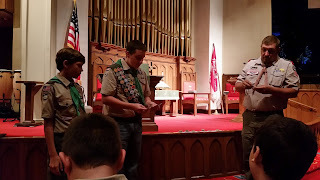 Reciting all of the scout "stuff" - law, oath, motto, slogan. 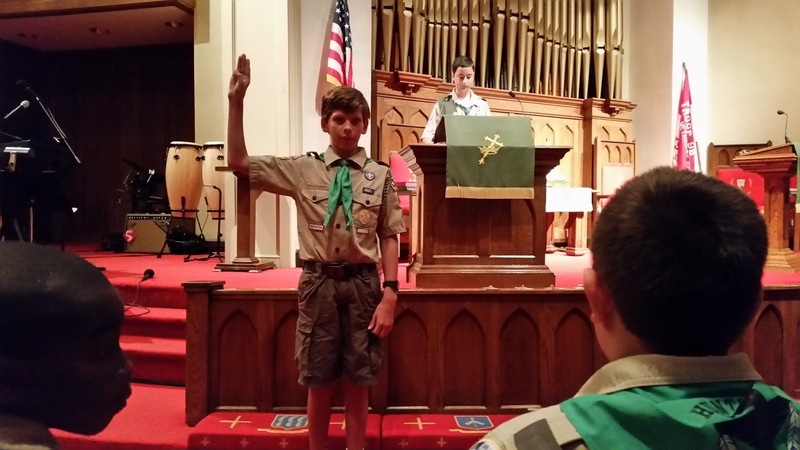 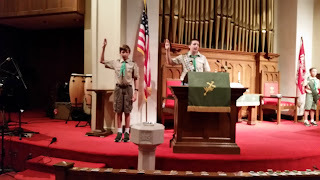 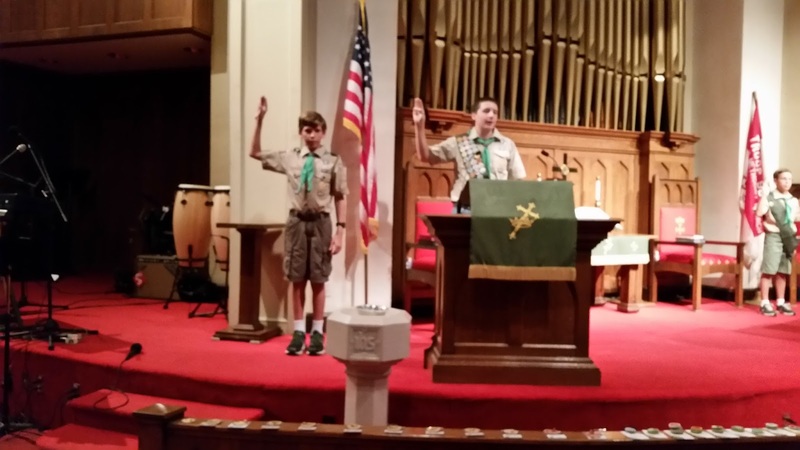 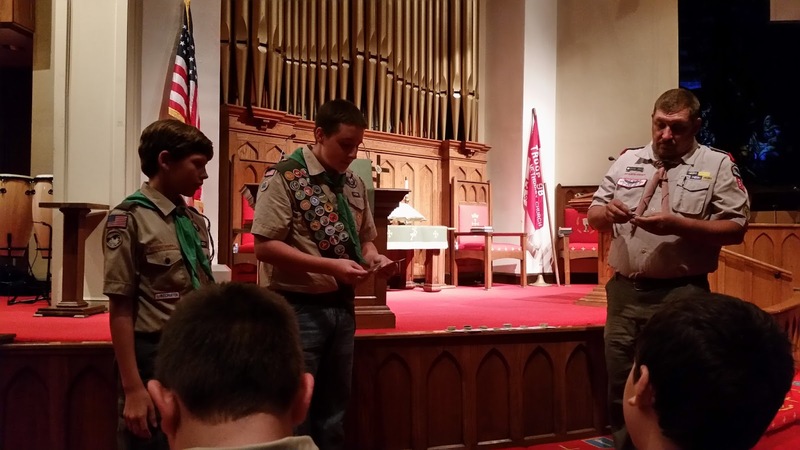 Dawson reciting the Scout Oath before receiving his Second Class Rank. 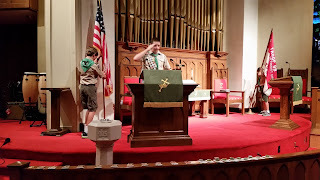 He worked so hard - he earned both his Tenderfoot and Second Class rank at this Court of Honor. 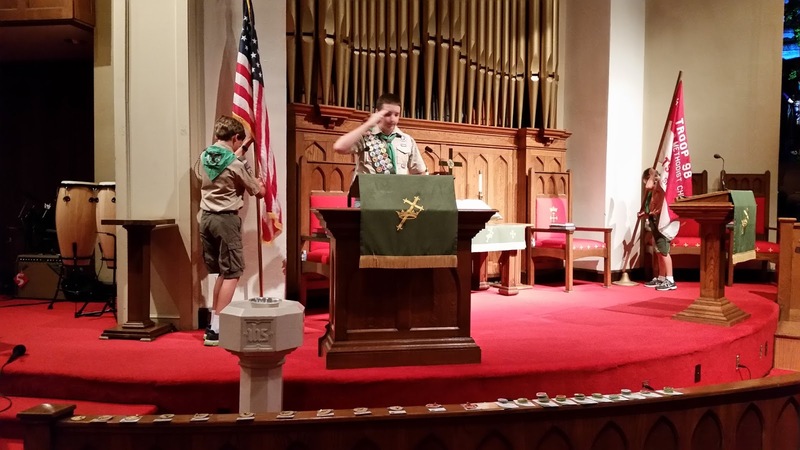 He has a very specific plan and is steadily working his way toward Eagle Scout. 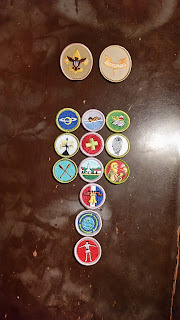 Tenderfoot rank, Second Class rank, and a slew of merit badges - Astronomy, Swimming, Reading, Weather, First Aid, Fingerprinting, Canoeing, Citizenship in the Community, Welding, Citizenship in the Nation, Sustainability, and Personal Fitness.